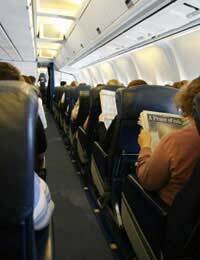 Although there are some serious environmental questions hanging over all forms of air travel, long-haul flights have been drawing a particularly large amount of criticism recently, so why have they been singled out for such a bad press – and is it fair? One of the major problems comes down to the sheer numbers of us wanting to fly. Around 120 million passengers a year pass through the UK’s three busiest airports alone – Heathrow, Gatwick and Manchester – and the figure is growing. Extra passengers and additional flights often means expanding the facilities needed to service them – new runways, more vehicle movements, larger car parks and greater demands for energy, water, sewage treatment and waste management. Even without expansion, the potential for environmental pollution remains a real issue for flying – the age-old question of noise, possible fuel spills and the use of potentially harmful chemicals such as glycol and potassium acetate, for example, to de-ice wings. However, it is the issue of emissions – and principally carbon – that stands firmly centre-stage in the flying debate. The simple fact is that the further you go, the more you produce – making things look fairly bad for long haul from the start! Like all oil-based fuels, aviation fuel releases “fossil” carbon into the atmosphere when it is burnt – as well as water vapour and oxides of nitrogen, which are themselves greenhouse gases. The more fuel you burn, the more “old” carbon you return into the atmosphere, enriching “today’s” air from “yesterday’s” store. There are many figures commonly bandied about regarding the amount of this fossil CO2 produced per flying mile, but this still does not tell the whole story – not least because carbon released at high altitude is more damaging than the same amount at ground level. On the face of it, flying long distances at 30,000 feet, long haul must surely plead guilty to all the charges laid against it – but is it possible to mount a defence of the seemingly indefensible? Given the figures for the amount of CO2 released from different types of aircraft – a Boeing 747, for example, releases around 35kg of carbon dioxide per kilometre – it seems fairly straightforward to argue the case that the longer the flight distance, the greater the damage. However, as with so much of the debate about global warming and man-made climate change, the issue is not quite so clear-cut. For one thing, most of the fuel use takes place during take-off and landing, making the relative contribution of the mileage in the air less pivotal than might be supposed. In addition, fuel consumption – and hence emissions – is not the same for all aircrafts, especially when viewed on a “per-passenger” basis. Since long haul planes tend to be flown nearer to their full passenger capacity, they can often achieve twice the fuel efficiency per passenger per kilometre of shorter flights by less-full small turboprops and jets – and some of the latest designs exceed even this. The final part of the case for the defence lies in practicality. How else can we get from one side of the globe to the other, unless we have a few months to spare to go by boat? While this is the most compelling argument in favour of long haul, it may also be the only really justifiable use of flying at all. There are practical transport alternatives available for many internal and short international trips; by contrast, trains and ferries are simply not viable substitutes for long haul flights. However, the fact remains that KLM have estimated that trips longer than 1,500km are responsible for around 80 per cent of the CO2 produced by air travel, so there is no doubt that if we all stopped long-distance flying altogether, emissions would unquestionably fall. Of course, it is scarcely a real possibility – at least not in the foreseeable future – so this particular version of a low-carbon utopia will have to wait. However, the aviation industry itself may hold part of the key to the future of long haul. Designed to carry over 500 passengers at a time within its double decked fuselage, the A380 – the latest from Airbus – uses high-efficiency engines and lighter alloys to promise 20 – 30 per cent lower fuel consumption per passenger than equivalent aircrafts. With air transport the fastest growing contributor of greenhouse gases – and all that this entails in terms of PR – where one manufacturer goes, others will surely follow, hopefully making this level of fuel economy and low emissions standard in the long-haul arena. If so, it will not solve the problem entirely, but it must surely help.